COST: $10 nonrefundable registration fee. Attendees present at this workshop will receive a $5 coupon towards the purchase of their ticket to the Sean Dorsey Dance show on Thursday, April 11. Coupons are not transferable. All levels welcome – no experience necessary. Participants are encouraged to wear comfortable dance attire, no shoes will be needed, and bring water. There will be an all-gender restroom/changing room available. 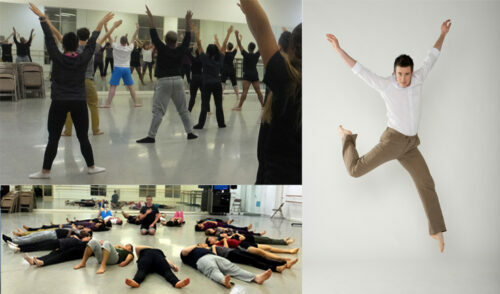 This workshop, led by Sean Dorsey, leads participants through modern dance technique, movement creation, writing exercises, and storytelling. Register for the movement & self-expression workshop led by transgender choreographer SEAN DORSEY for trans + nonbinary + LGBTQ folks and our friends. Then catch BOYS IN TROUBLE at Maui Arts & Cultural Center!